America’s struggle to overcome the taint of racial prejudice continues to make headlines, whether through claims of racial profiling, or through individual acts of blatant discrimination. We’ve even seen a return to the kinds of violence that first flared when, over sixty years ago, the Supreme Court ruled in Brown versus the Board of Education that America’s schools could no longer be segregated by race. 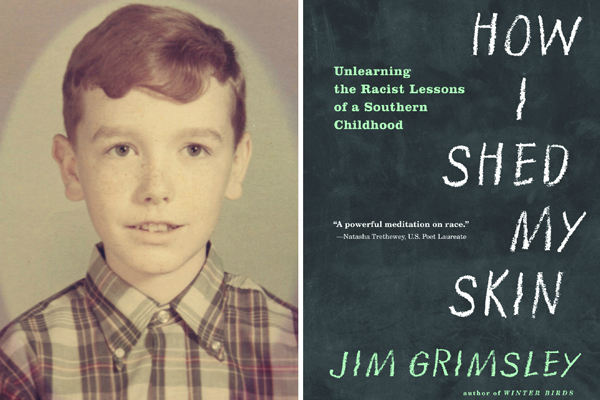 In an effort to understand just how this deep division has perpetuated, critically acclaimed novelist Jim Grimsley decided to revisit that turbulent time when in 1966 the school in his small eastern North Carolina town was first integrated. That was the year federally mandated integration of the schools went into effect in the state, at first allowing students to change schools through “freedom of choice,” replaced two years later by forced integration. Going to one of the private schools that almost immediately sprang up was not an option: Jim’s family was too poor to pay tuition, and while they shared the community’s dismay over the mixing of the races, they had no choice but to be on the front lines of his school’s desegregation. What he did not realize until he began to mix with these new students was just how deeply ingrained his own prejudices were, and how those prejudices had developed in him despite the fact that prior to starting sixth grade, he had actually never known any black people. Now, over forty years later, Grimsley looks back at that school and those times—remembering his own first real encounters with black children and their culture—and at his growing awareness of his own mostly unrecognized racist attitudes. The result is a narrative that is both true and deeply moving. Jim’s distinctive voice guides readers through those classrooms and onto the playing fields as, ever so tentatively, alliances were forged and friendships established. And looking back from today’s perspective, he asks, how far have we really come?